Are you more of a free flow person and don't want to be limited by a specific numbering system for your needles or hooks? 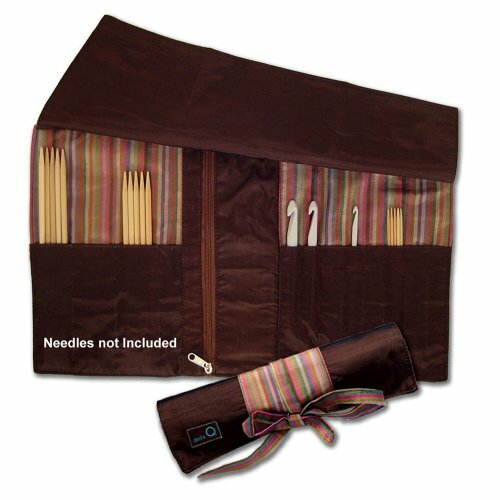 This utilitarian case includes unnumbered pockets for double points up to 8 inches long or your crochet hooks. Three wider pockets will hold up to US 11 (8 mm). Nine narrower pockets will hold up to US 4 (3.5 mm). A center zip pocket stores notions or a king size candy bar.